The Body Shop is without question one of my favourite destinations for cosmetics, hair care, skin care and fragrance and the reasons are threefold. Firstly, the company offers a holistic approach to beauty based on making people feel good- "face, body and soul". Secondly, The Body Shop cares about social justice and making an ethical and sustainable difference to our world, a huge plus for me. Thirdly, did you know The Body Shop were the first company to introduce fair trade to the cosmetics industry? Buying from The Body Shop makes a positive contribution to the lives of small-scale farmers and tackles the injustice of exploitation. Beauty with heart indeed! Their products are unbelievably lust-worthy and constantly on my wishlist! It was a challenging task but I have narrowed the list down, read on for my Top 5 Body Shop Must Haves. Enjoy! 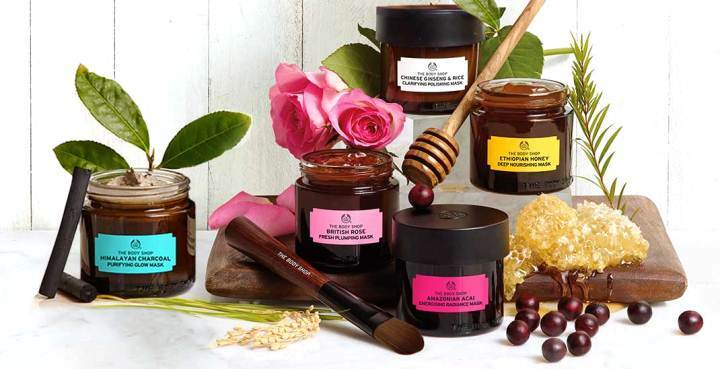 The Body Shop's delectable range of body butters are probably one of their most-coveted and lust-worthy products and rightly so! They leave the skin silky smooth and smell (almost) good enough to eat! Raspberry is my body butter of choice due to the gorgeous scent and the fact that it contains Community Trade shea butter makes this gem a worthwhile splurge for us all. You may recall from reading my glorious green tea post that I am somewhat fascinated by the benefits of green tea! Well you can imagine my delight upon discovering this indulgent green tea bath tea here. This gem contains real green tea leaves (how cool is that?) and is perfect for a nice de-stress and relaxing soak after a long week. This is an absolute summer essential that also doubles up as a winter wonder by working as an excellent primer/ under make-up base. Skin Defence contains SPF 50,to help protect skin from UVA rays and antioxidants to keep environmental pollution at bay! Skin weather woes be gone! 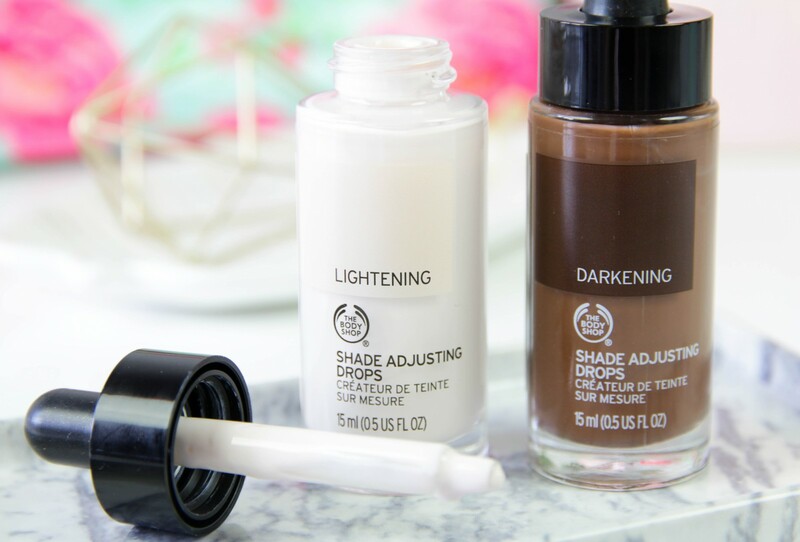 The lightening and darkening shade adjusting drops help turn an "almost there" foundation into the perfect one. Just one drop will make your foundation 1/2 a shade lighter or darker, depending on the look you are going for. This is a handy and versatile product and would prove a life-saver for MUAs working with a diverse range of clients. More info here!